Circa 1962. My first camera, a Kodak Brownie Holiday Flash. 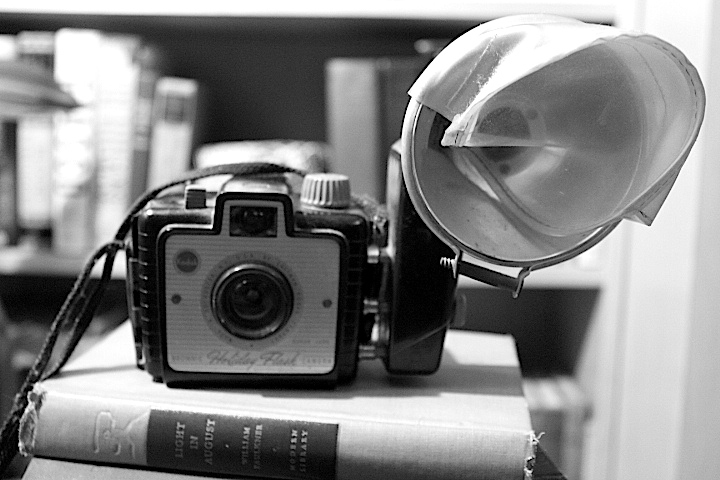 This beautiful camera was designed by Arthur H. Crapsey, the designer of other popular Kodak cameras. Snapped with a Canon Rebel T3i. 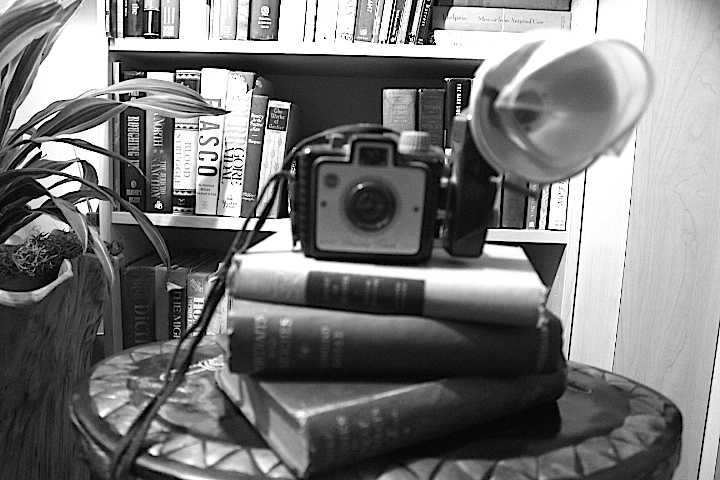 This entry was posted in All Posts, Photography and tagged #TBT, Arthur H. Crapsey, Black and white photography, Brownie camera, Kodak, Kodak Brownie, Photogrpahy, Throwback Thursday by Enchanted Seashells by Princess Rosebud. Bookmark the permalink. And you still have it! That makes me smile and….good photo! Thank you! And I’m surprised I still have it, too. I guess I’ve always loved taking pics. You apparently are a natural. I remember the Brownie cameras. It was my favorite and biggest Christmas present ever. I had it for years. I can’t believe I’ve saved it all these years! I too remember that camera well and loved it! I keep forgetting to buy film online and actually use it!